Fuze is back again to your rescue with its blazing fashion ideas from across the Bollywood and Tellywood industry. Fashion and style ruled once again, glitter has bedazzled us, and traditional surprisingly came across in the form of something fresh again. Also Read : Weekly Fuze Fashion Tips – Here Are 18 Must Follow Style Statements! So without much ado, we are here to help you track down the 38 must follow style statements inspired from your favorite celebs. 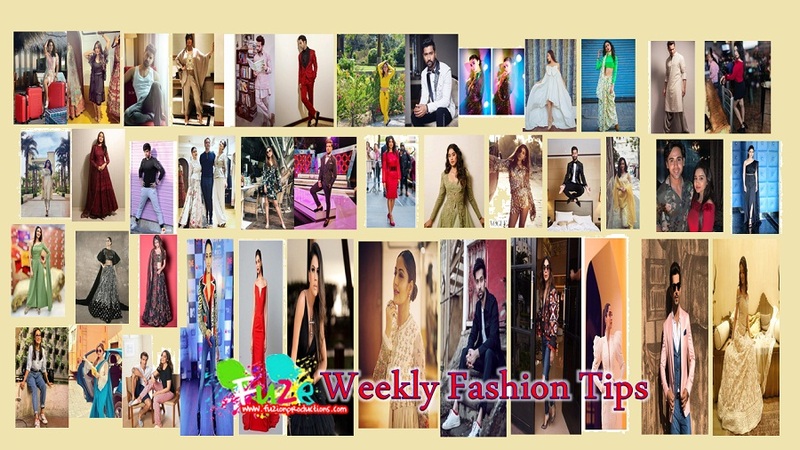 Also Read : Weekly Fuze Fashion Tips – Here Are 25 Must Follow Style Statements! For the starters, if you are fishing for the red carpet looks, then Priyanka Chopra‘s red fitting dress might entice you. Divyanka Tripathi‘s shimmer blended outfit is a sheer classy outfit making her look every bit of graceful whereas if you’re a fan of going the unconventional way, then you better steal Nia Sharma‘s beautiful and fiery goth look in all black. For the best fashion inspiration, Sonam Kapoor‘s sheer white unconventional outfit is the one that you wouldn’t want to miss. For the girls who are wishing to opt for traditional can very well take the next idea of the beautifully crafted jacket worn by Gauri Khan. The entire outfit gives a Desi look while keeping the western touch intact. Sanaya Irani‘s pretty yellow outfit with white chicken Kari work is like the fresh, bright yellow pattern we needed for this summer. And just in case black is your color, then Mouni Roy‘s floral lehenga is the one for you! Not to forget, Surbhi Chandna‘s all-white outfit with splashes of pastels and that frilly blouse is the perfect outfit to drool over in scorching heat! Beware before you check out Sonakshi‘s deep maroon lehenga because you might want it next. For the ones wondering how to make a saree look cool, Aneri Vajani and Rubina Dilaik have got brilliant ideas for you! Then there are our favorites who ace the casual chic look always. Now isn’t Surbhi Jyoti all slaying in that denim outfit and entire nerdy look. One can only watch time and again how beautiful Ms. Chandna looks in that black dress with minimal makeup, or Hina Khan is at her best as always in that colorful stripped summer outfit! Also, Erica Fernandes ‘s Uber swagger look at the BCL launch party is a tomboy’s favorite one! The boys are no less but are extremely handsome when in casual. One look at Parth Samthaan and Zain Imam‘s stripped denim and vest and shirts look, and you’ll know what we are talking about! And if you just love the boys in a darn dapper look, then you might want to take a look at how glamorous these men look here. Vicky Kaushal‘s black and white three piece suits might have you allured. We bet you can’t resist Dheeraj Dhoopar and Karan Kundra‘s charm in a tuxedo and Arjun Bijlani‘s peach and blue themed suit might make you wish to own one too. Yes, men in traditional are even glorious, and you would agree with us once you take a look at these men in kurtas like Nakuul Mehta and Varun Dhawan who stand out and look at their best in these classiest of designs. For the girls who are fishing for some glitz, glamour, and sparkle, and swipe then have a close look at Alia Bhatt‘s and Sara Khan‘s attires. Here's fuze special 'celebrity style tips special ' , part 1 . Let us know who's style are you ooglong it ? . . #hinakhan #ashisingh #surbhichandna #priyankachopra #krystledsouza #saraalikhan #rubinadilaik #malaikaarorakhan #varundhawan #deepikapadukone #fashionupdates #celebrityfashionforwomen #celeblook #tellywood #bollywood #fashionpick #celebrityfashion #fuzionproductions . Follow @fuzionproductions for more updates ! Fuze special 'celebrity style tips' part 2 ! Whom are you rooting for in here ? . . #sonakshisinha #divyankatripathi #vickykaushal #rajkumarrao #karankundra #kritikakamra #ericafernandes #jhanvikapoor #surbhichandna #bipashabasu #karansinghgrover #celebcouples #celebrityfashion #celeblook #fashionupdates #fuzionproductions #tellywood #bollywood #television . . Follow @fuzionproductions for more updates ! 'celebrity style tips' part 3 ! Which ones your favourite among these ? #drashtidhami #zainimam #sonamkapoor #arjunbijlani #ashisingh #randeeprai #anerivajani #sanayairani #parthsamthan #mouniroy #surbhichandna #fashionupdates #celebcouples #celebrityfashion #fashionpick #celeblook #indiantelevision #bollywood #fuzionproductions . . Follow @fuzionproductions for more updates !
' celebrity style tips ' part 4 ! 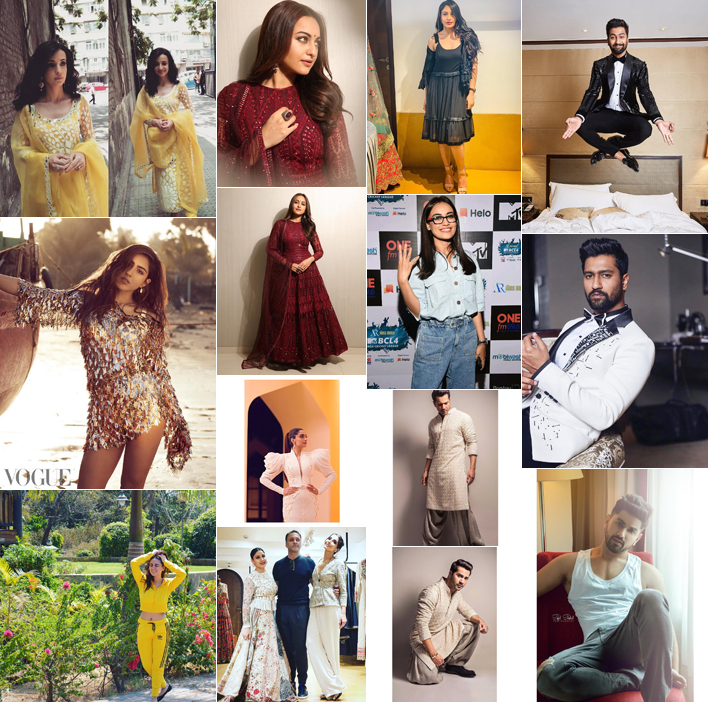 Pick yours from the lot . . #sanayairani #vickykaushal #niasharma #aliabhatt #surbhijyoti #gaurikhan #shradhaarya #kareenakapoor #nakuulmehta #tellywood #television #bollywood #bollywoodfashion #fashionshow #fashionupdates #celeblook #celebrityfashion #fuzionproductions . . Follow @fuzionproductions for more updates ! So which bollywood and television celebrities fashion and style statement are you going to follow? Do let us know in the comment box below! Stay Tuned To Fuze And Don’t Forget To Follow Us On Twitter And Instagram! Erica’s outfit at BCL 4 and Deepika’s gown is very nice!!! Sanaya’s white lehenga is lovely!! !